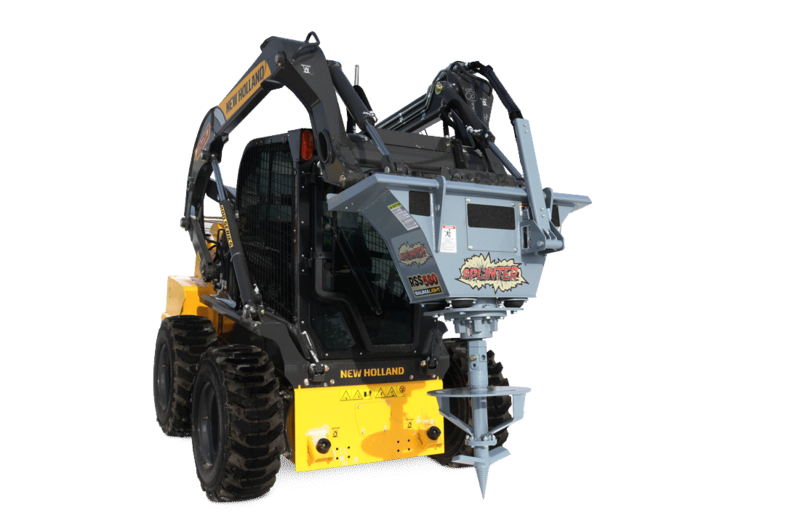 Splinter’s Stump Planer tool, designed for excavators and skidsteers, operates at a low RPM so that chips are contained during the operation with very little mess to clean up. Ideal for urban areas or confined spaces, the Stump Planer requires less power as it does not produce as fine material as a high speed cutting wheel. This enables larger stumps to be ground faster with smaller carriers, creating better mulch for other small trees. The Stump Planer tool features a hardened replaceable tip for extra-long wear and sharpenable cutting blades.